Delhi Shimla Manali Dalhousie Dharamshala McLeodganj by AC Car. 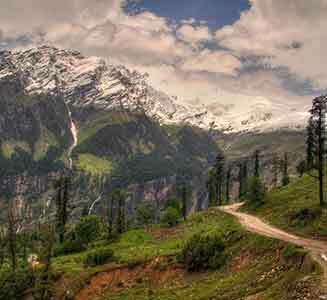 Morning check-out from the hotel and travel to Manali by Toyota Etios/Maruti Desire. On arrival at Manali, check-in at the hotel. 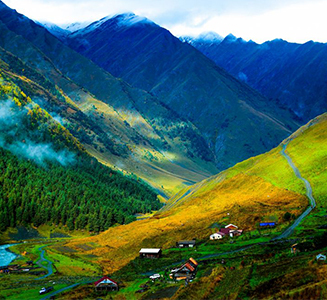 Enjoy local sightseeing like Hadimba Devi Temple, Vashishth Village, Tibetan Monastery, Club House, Van Vihar, Etc. Enjoy dinner with a comfortable overnight stay in the hotel. Enjoy your breakfast at the hotel and plan for a morning check out from the Hotel. Stroll by local markets at the famous Mall Road. When it’s time for you to leave, you will be picked up by car for the onward journey to Dharamshala. Enjoy and cherish the scenic beauty on your way to Dharamshala. The total time it takes to reach your destination is approx 7-8 hours. Enjoy dinner with a comfortable overnight stay in the hotel. Khajjiar - Often called mini Switzerland of India, the exquisite scenes of Khajjiar has a circumference of about 5 km. Along with its fringes, thick forests of deodar climb the slopes, the snow-line rests above these woods. 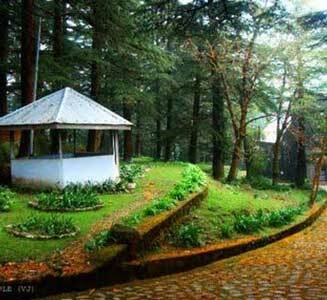 At Khajjiar there is a 12th-century temple known as Khajji Nag. Within the temple, there are life-size wooden images of the five Pandav brothers. After visit Dalhousie proceeds for an excursion tour to Chamba (915 m) stands on the right bank of the river Ravi. Asa former princely State, it is one of the oldest in the century. It is well-known for its splendid architecture and a base for numerous excursions. Later drive back to Dalhousie. On arrival check-in at the hotel. Morning city tour of Dalhousie. Afternoon drive from Dalhousie to McLeod Ganj(124 kms-5 hrs.–Approx.) en-route visiting Dharamshala. Upon arrival check-in at Hotel. In the afternoon proceed for local city tour of McLeod Ganj.